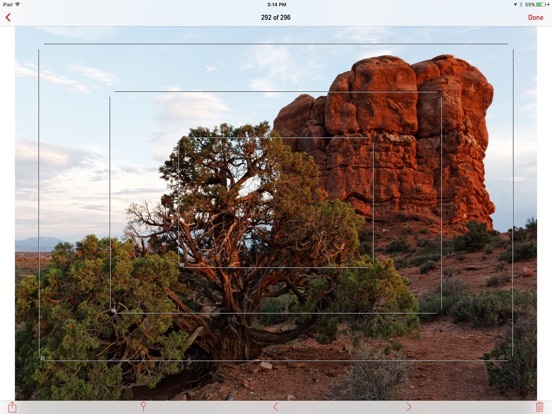 Artist's Viewfinder assists the filmmaker or still photographer in exploring different places and angles to find the optimal placement for the camera, and to second-guess compositions. By simulating real camera and lens combinations it allows you to visualize what you are going to shoot without actually setting up the camera. And it's also a great tool to train yourself to see. Exposure compensation. Auto-focus lock. AF confirmation beep. A Quick Control Screen for accessing frequently needed functions. Smart Function Keys. Shutter release via the Volume Up button. We designed the Mark II so that you could feel at home the moment you start working with it. 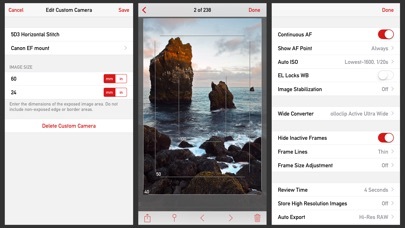 And because it also saves high resolution photos, you can even use it as a regular camera. Paired with a 0.5x-class super-wide converter lens*, the Mark II becomes an indispensable tool for landscape and architecture photographers. 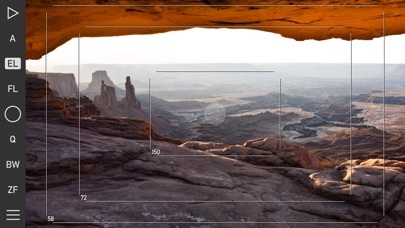 The combination can simulate super-wide lenses up to around 16mm on the full-frame 35mm format. 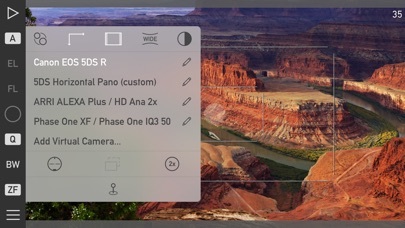 Or you can use it to compose super-wide stitched images. 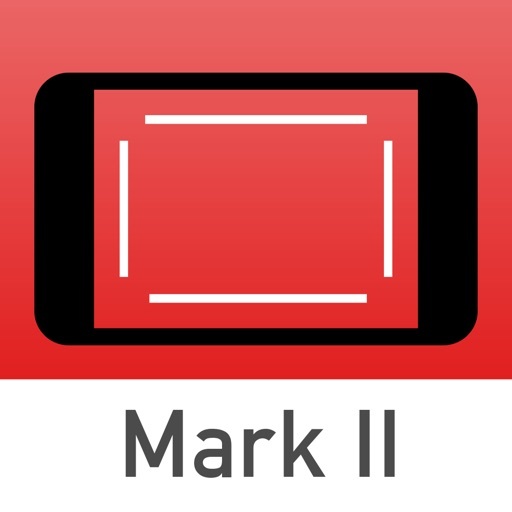 The Mark II even removes distortion present in the wide converter lens — in real time. 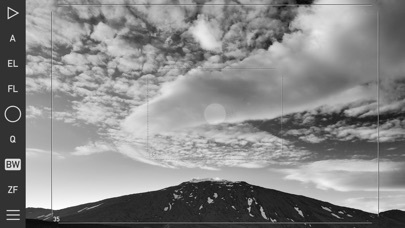 In black & white mode Artist's Viewfinder shows just the luminance information of the scene, making it easier to explore tonal structures and simulate what a black & white photograph will look like. Taking it a step further, the optional dark and neutral toolbar theme ensures that colors from the app doesn't interfere with your composition. The Mark II leverages our extensive Viewfinder Camera Database, containing more than 600 still and motion picture cameras, 150 medium/large format backs and countless lenses — incorporating real lens data for ALPA, Hartblei, Leica, Rodenstock, Schneider and Zeiss glass. 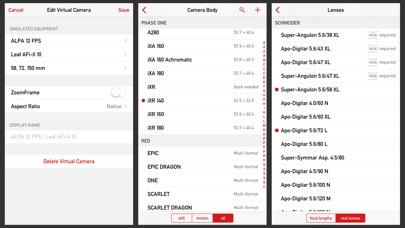 And you can define your own cameras and lenses when you need something special for the job. 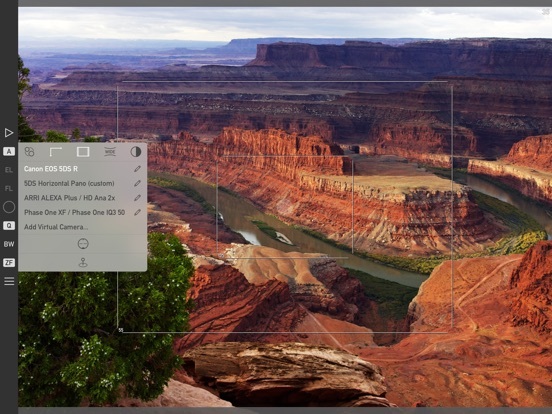 Artist's Viewfinder stores location and simulation metadata with the pictures, allowing you to evaluate results of a location scout later on your computer. 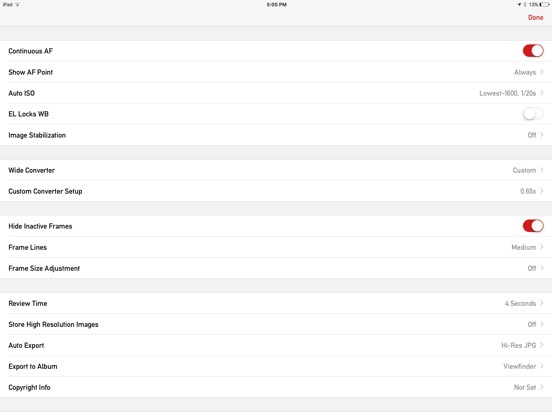 Or you can send the information off to the rest of the crew or to a rental house, right from the app. It also records a standard GPX format track log, alleviating the need for a separate logging device. 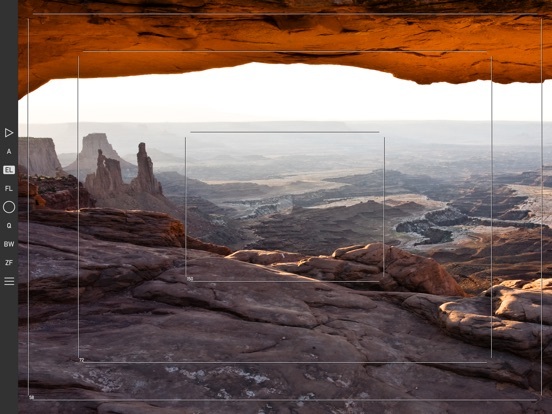 Artist’s Viewfinder assists the filmmaker or still photographer in exploring different places and angles to find the optimal placement for the camera, and to second-guess compositions. 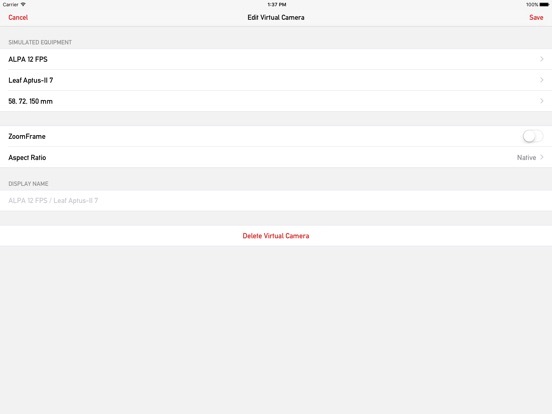 By simulating real camera and lens combinations it allows you to visualize what you are going to shoot without actually setting up the camera. And it’s also a great tool to train yourself to see.